TVS Motor Company, one of India’s leading two wheeler manufacturers, has rolled out a special TVS Scooty Zest 110 “Himalayan Highs’ edition’. This is to commemorate TVS Scooty Zest 110’s ride to Khardung La Pass by a female rider, Anam Hashim. With this feat, TVS Scooty Zest 110 has earned a place in the India Book of Records for being the first 110 cc Scooter to reach Khardung La in the Himalayas. The special edition, TVS Scooty Zest 110 Himalayan Highs, comes in an exclusive Himalayan High Brown colour, with beige pigmented panels and superior enhanced features such as new tapeset, body colour mirrors, body colour cover switch panels. The special edition scooter features a special emblem honoring the feat of reaching the highest motorable road in the world at 18,380 feet. The Scooty has been an iconic brand for mobility in India. It’s only fitting that the first 110 cc scooter to reach the highest motorable road is a Scooty Zest 110, and it was ridden there by Anam Hashim, a 21 year old Scooty Zest owner. We are happy that this feat has found place in the India Book of Records. 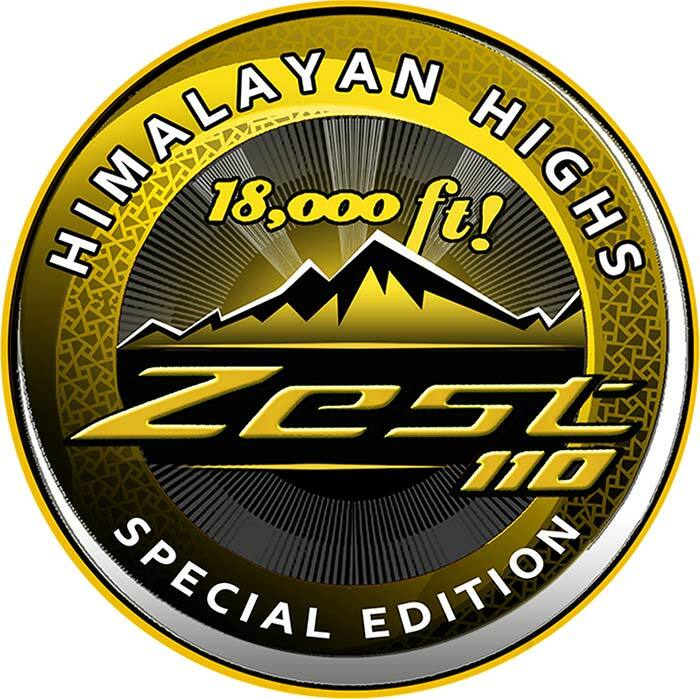 To commemorate this historic ride, we are happy to launch the Himalayan Highs special edition. We continue to enhance the ride experience for the new age Indian woman. Braving all the challenges, Anam Hashim began her ride on the Scooty Zest 110 in Jammu and rode across Srinagar, Kargil, Zoji La Pass, Leh to the oxygen depleted highs of Khardung La over a period of 20 days. Riding is my passion, I have always enjoyed trying new challenges. I was thrilled to ride TVS Scooty Zest 110 to Khardung La. The engine did not run out of breath, even beyond 10,000 feet and the ride quality was top-notch throughout the long hours of riding. Despite of all the dangerous turns, awful weather and vertigo inducing heights, TVS Scooty Zest 110 cc proved to be a super-reliable and dependable partner. Setting this record is truly an epic feeling. 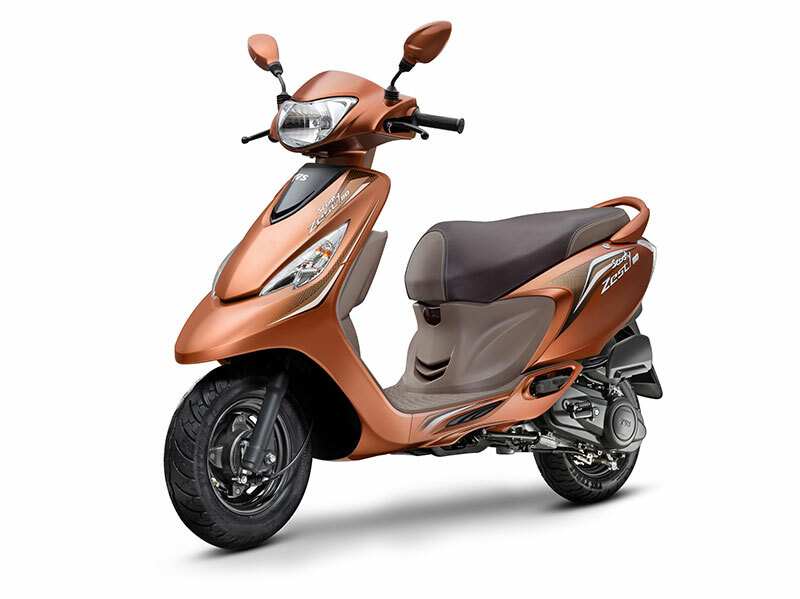 TVS Scooty Zest 110 is available across all TVS showrooms and is priced at Rs. 46,113 (Ex-Showroom Delhi). Also read our review on new TVS Victor 110.